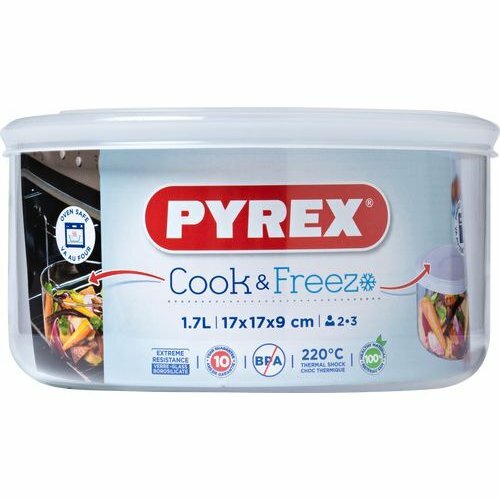 Pyrex Cook & Freeze: The perfect range for baking and freezing in perfect proportions while saving space. Smart plastic lid for fridge and freezer storage. Suitable for microwave (without lid) and dishwasher.